Rita Monroe, 84, of rural Waterville, died at Thorton Manor, Lansing, on May 15, 2002, following complications of a stroke suffered December 23, 2000. Rita Spinner was born November 6, 1917, at the family farm in rural Waterville, the third child of Theodore Peter and Helma (Hermanson) Spinner. She attended Waterville Consolidated School where she was an avid softball player and a member of two state basketball teams. She continued to be an enthusiastic sports fan throughout life. After graduation, Rita attended a business school in Ames, IA. Unable to find stenographic work, she became a "mother's helper" for a family in Winnetka, IL, on Chicago's north side. In 1938, she married Thomas Monroe at Savanna, IL. They obtained work as houseman and cook for a family at Glencoe, IL. After the birth of their first child, Thomas worked as a route man for Lambrecht's Dairy. In 1941 they began farming at Luana and bought the home farm near Waterville in 1945. They built a new home on the farm in 1981 and resided there until their health failed. Rita enjoyed learning to play piano and violin and singing harmony in vocal groups. She worked with youth as a local 4-H leader (4-H Toppers) in Allamakee county for many years. 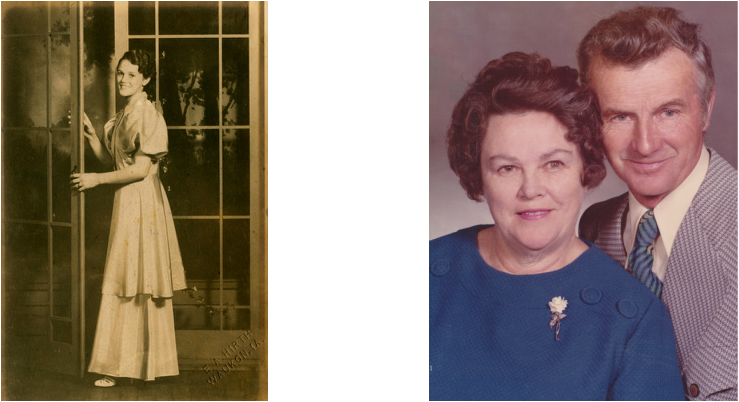 A lifelong member of St. Pius Catholic Church at Cherry Mound, Rita taught her faith to children, was an active participant in the Archdiocen Council of Catholic Women, and the Rosary Society. She is survived by her husband Thomas of 63 years; three brothers, Chester of Waterville, Theodore of McGregor, and Howard of Lebanon, MO; six children, JoAnn (Thomas) Spear of Conrad, Karen (John) Koza of Wakefield, RI, Carole Cole of Altadena, CA, Glenn (Charlotte) Spinner of Viroqua, WI, Lowell (Cindy) Monroe of Genoa, WI, and Maureen Monroe of St. Louis Park, MN; 18 grandchildren, and 16 great-grandchildren. Rita was preceded in death by her brother Roy Spinner and sister Doris Spinner-Sorum.